The Zimmerman Civic Club is a great organization. Great support from volunteers, area businesses, sponsors, and individuals like you make the Civic Club a great asset to this community and it's residents. We are all more successful because people get involved. That's just the fact. Perhaps you should consider participation, membership, or sponsorship this year. If you are interested in being involved with the Civic Club, plan to attend our monthly meetings with your interest and questions each second and fourth Tuesday of each month. We are interested in your feedback during this meeting time as well. We tend to meet at different locations each meeting, so… contact Kris Hicks at 763.219.0382 for the location for this months upcoming meeting location. You can also use our Contact us page too. Hope to see you soon! 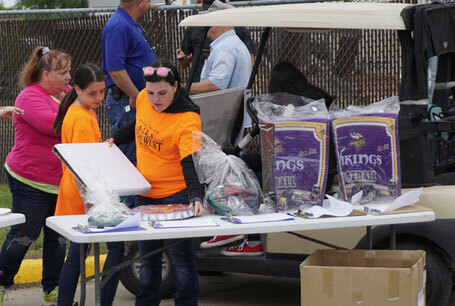 Volunteering can help plan the annual event. In the Fall of 1970, a small group of Zimmerman residents decided to create a fund-raising community group with the expressed purpose of providing community aid, ranging from projects like helping the local Volunteer fire Department to providing help for families in need. Their ultimate goal was to purchase a piece of land and erect a community building on it. This group became known as the Zimmerman Civic Club (ZCC). Thanks to this "handful of sweating members, who perform most of the hard work, listen to gripes, grit their teeth and try harder", their vision was realized many years later. The enthusiasm was contagious. The small handful of visionaries soon grew into a large, active group of community members. 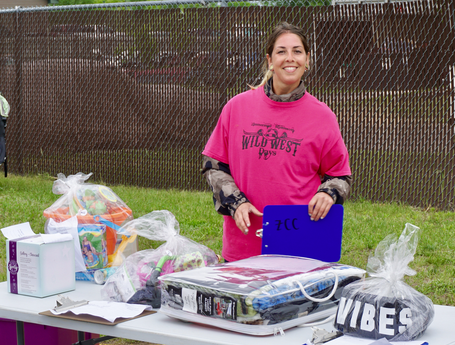 Within three months, the ZCC had announced it's first large scale fundraising event -- Wild West Days (WWD). By the time the celebrations was held, membership in the ZCC was listed at 77 members. With a population under 500 people, that was quite an amazing accomplishment in itself. Even more amazing is the array of events offered at this first celebration, including: "Main street" being closed down for an old-fashioned Street Dance - "bands played continuously from 1 p.m. to 1 a.m."; a Carnival that touted games like "Pick-a-Duck" and offered real pony rides; the first Parade - "drew hundreds of spectators"; Bingo, with a "loud and clear" bingo caller; Dinner "served" - (not sure where, but bet it was darn good); a Baking Contest - no "boxed mixes" please; a Pie Eating Contest - "hands tied behind made a big mess"; a Beard Contest - for the nicest looking beard, not the longest, just in case some of the men had "slow-growing beards - AND it was judged by "pretty ladies who don't mind looking men over at all"; a Raffle with a grand prize of half a beef - "Stan Dorris of St. Paul won it"; a Demolition Derby - "make sure those doors are roped shut! "; a Poster contest for grade school kids - I came in second place! ; a WWD Button selling contest - winners were crowned king and queen of WWD; A Buffalo Bill and Calamity Jane look alike contest - "The Aubin's won the title and led the parade"; A Horse Show, hosted by the Zimmerman Trail Riders; a Shooting Contest and Gallery - "fastest draw and sharp-shooting - real men, real guns! "; a Senior Citizen's Auction and Bazaar - "held on Roy's front lawn" (guess everyone knew where that was); and a Soap Box Derby , held on the Legion's hill, "with winning prizes of $3, $2, and $1" - (Dreamy John Adam was the big winner, with Phil Ingram a close second). And that is what was documented! What an unbelievable undertaking! Can you even imagine doing this without cell phones or e-mail? Wouldn't you just love to be dancing to "The Too Fat Polka" with Rueben and Ann in the street right now? What a huge success that first weekend was. No one needed to count dollars to know that WWD was a success long before the weekend came. The old newspaper articles, praised the event, and the weekend's program reads like a "Who's Who" in Zimmerman's rich history. The old WWD programs are filled with numerous acknowledgments for "generous donations "of time, money, baked goods and prizes. Giving -- it seems -- is a "Zimmerman Tradition." And for 30+ years the community of Zimmerman has been giving and hosting their successful annual community celebration, "Wild West Days".